No yard? No problem! Container gardening is the perfect solution for those who can’t or don’t want to manage a huge gardening area, illness but who love the beauty of nature in their living or work spaces. Pick up a pre-planted mixed planter, malady window box, cure color bowl, or hanging basket for instant color. 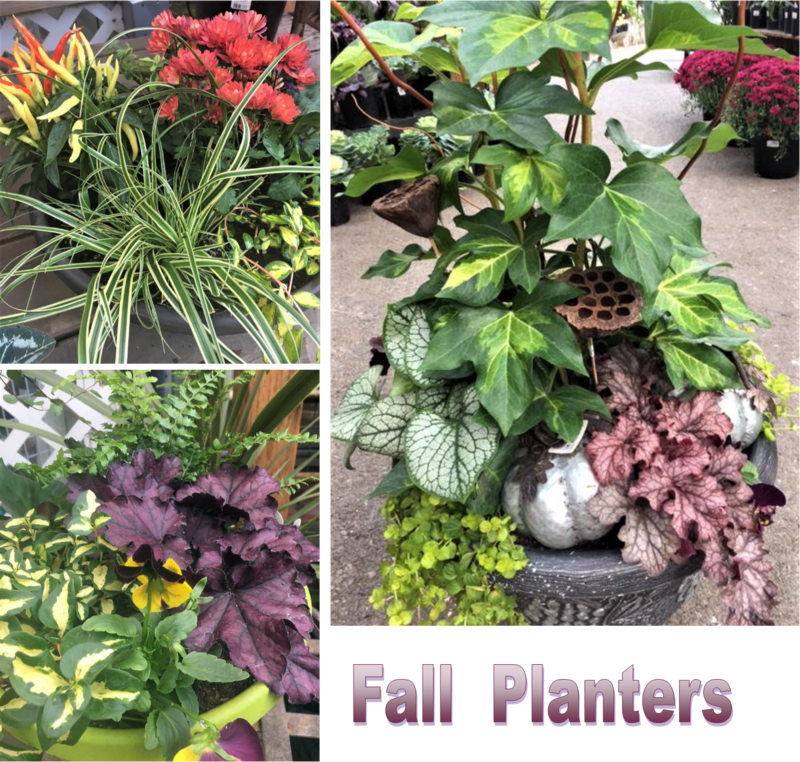 If you prefer, the designers at Bellevue Nursery can plant a unique container garden that will be perfect for your seasonal decorating. For more detailed information, please see our Services Page for Container Design & Repotting. Just a tiny spot that needs a pop of color? Pick up one of our TABLE TOP GARDENS! Sweetly-sized for your patio table. REMEMBER TO SURROUND YOURSELF WITH COLOR! Look to the summer sky to add color with one of our gorgeous hanging baskets for sun or shade. Perfect accents to welcome guests to your home or create a lush oasis on your back deck.